Cantonese and Mandarin are dialects of the Chinese language and are both spoken in China. They share the same base alphabet, but as a spoken language they are distinct and not mutually intelligible. Where Are Mandarin and Cantonese Spoken? Mandarin is the official state language of China and is the lingua franca of the country. In much of the country, it is the primary spoken language, including Beijing and Shanghai, although many provinces still retain their own local dialect. Mandarin is also the main dialect in Taiwan and Singapore. Cantonese is spoken by the people of Hong Kong, Macau and the wider Guangdong province, including Guangzhou (previously Canton in English). Most foreign Chinese communities, such as those in London and San Francisco, also speak Cantonese because historically Chinese immigrants hailed from Guangdong. No -- while many Hong Kongers are now learning Mandarin as a second language, they will, for the most part, not speak the language. The same is true of Macau. Guangdong province has seen an influx of Mandarin speakers and many people there now speak Mandarin. Many other regions in China will also speak their regional language natively and knowledge of Mandarin may be patchy. This is especially true in Tibet, northern regions near Mongolia and Korea and Xinjiang. The benefit of Mandarin is that while not everybody speaks it, there will usually be somebody nearby who does. That means that wherever you are there you should be able to find someone to help with directions, timetables or whatever crucial information you need. Mandarin is the only official language of China. School children in China are taught Mandarin at school and Mandarin is the language for national TV and radio so fluency is fast increasing. There are many more speakers of Mandarin than there are of Cantonese. If you plan on doing business in China or traveling around the country, Mandarin is the language to learn. You might consider learning Cantonese if you intend to settle in Hong Kong for a prolonged period of time. 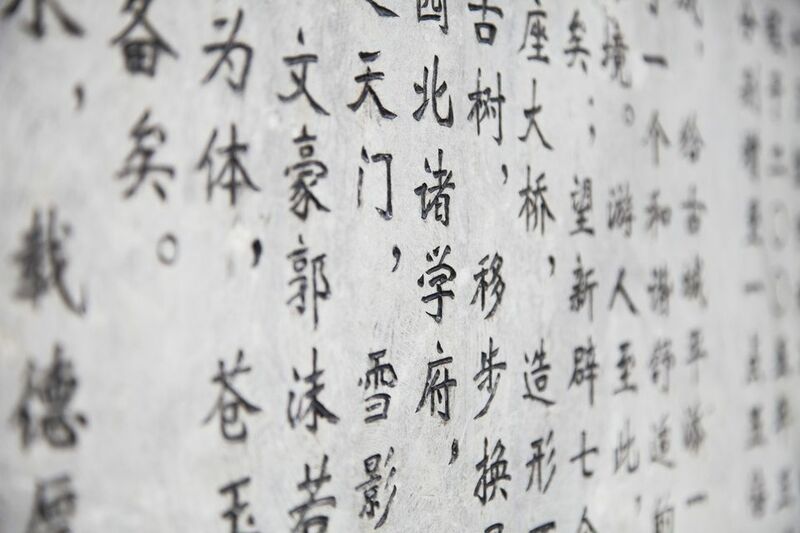 If you're feeling particularly bold and plan to learn both languages, it is claimed that it's easier to learn Mandarin first and then build up to Cantonese. Can I Use Mandarin in Hong Kong? You can, but no one will thank you for it. It's estimated that around half of Hong Kongers can speak Mandarin, but this is due to the necessity of doing business with China. 90% of Hong Kongers still use Cantonese as their first language and there is some resentment at attempts by the Chinese government to push Mandarin. If you are a non-native speaker, Hong Kongers will certainly prefer to speak to you in English than in Mandarin. The advice above is largely true in Macau as well, although locals there are a little less sensitive to speaking Mandarin. Both the Mandarin and Cantonese dialects are tonal languages where one word has many meanings depending on the pronunciation and intonation. Cantonese has nine tones, whereas Mandarin has just five. Cracking the tones are said to be the hardest part of learning Chinese. Both Cantonese and Mandarin share the Chinese alphabet, but even here there is some diversion. China increasingly uses simplified characters that rely on simpler brushstrokes and a smaller collection of symbols. Hong Kong, Taiwan, and Singapore continue to use traditional Chinese that has more complex brushstrokes. This means that those who use traditional Chinese characters will be able to understand the simplified characters, but those accustomed to simple characters won't be able to read traditional Chinese. In truth, such is the complexity of written Chinese that some office workers will use basic English to communicate by email, while most schools teaching Chinese focus on the verbal language rather than reading and writing.